Double Take: Can You Spot the Differences in the Two Photos? In our February issue, we included our first Double Take puzzle for boaters with a keen eye. We'll have another one coming up in March so stay tuned! 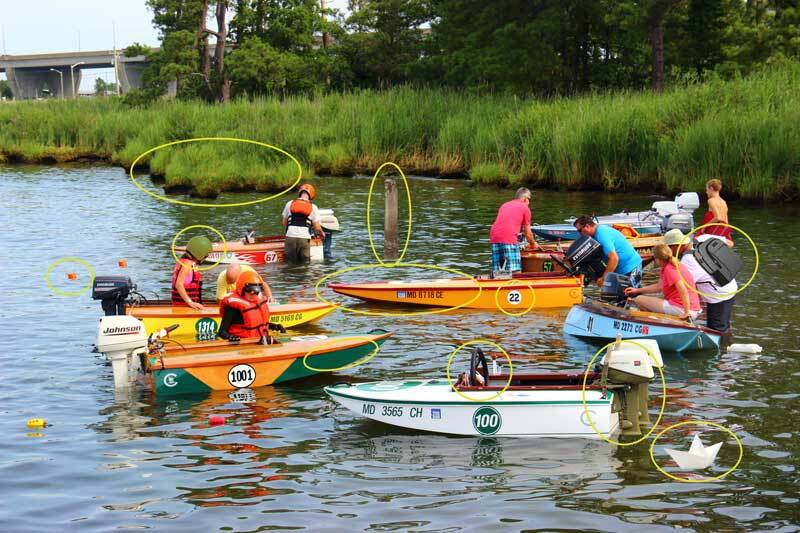 We asked readers to try and find the 11 differences in this cocktail class photo taken before the annual summer race at Kent Island Yacht Club (the original is on top). Can you spot the 11 differences? The top photo is the original. We got so many responses we decided to try it again in March. TK Walker was our February winner! The answers are posted below. Answers for the Feb. Double Take puzzle.